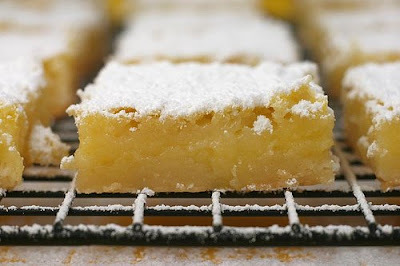 When cool, dust with confectioner's sugar and refrigerate. This recipe comes from the kitchen of Sarah Blamires. Haven't tried it yet, but thought I'd pass it along. It sure looks yummy! Those look really yummy! I don't do much baking because then we all eat it and really who needs baked goods in there system when they already don't really watch what they eat? I hope that they turn out good for you all.